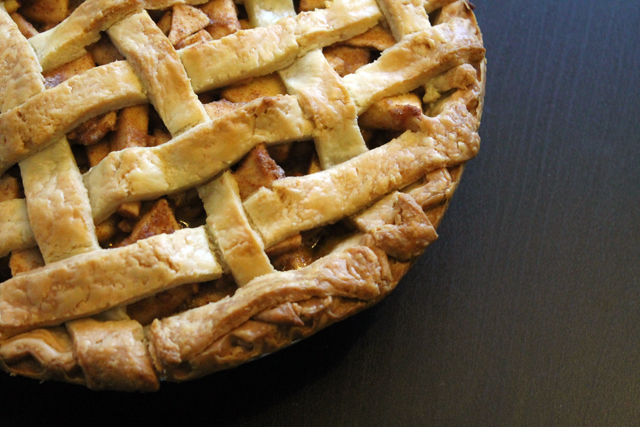 The first thing I did was Google "Apple Pie Recipe," so naturally I can't find it now, but I followed it and it looked something like this. First I peeled and cut a bunch of apples while FaceTiming my sister, who informed me that the chopping sounded eerily similar to a ping-pong game, then I tossed the apples with brown sugar, white sugar, nutmeg, cinnamon, flour and vegan butter. I bought two pre-made crusts, but then decided I wanted to get fancy so I rolled one out with a rolling pin, cut it into strips and got my lattice on. Baked that sucker and boom, it looked like I knew what I was doing. So I guess the point of this post is to say, "Hey, look what I did with my fat apples!" Perhaps you will give it a try? I hear apple pies are a big hit at Thanksgiving celebrations. 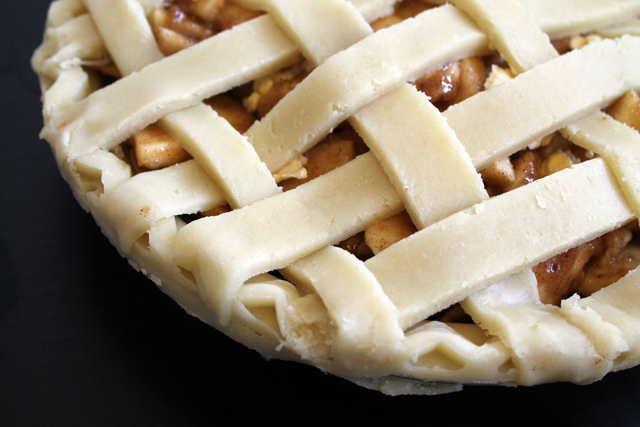 Yum -- that apple pie looks delicious!